I have one very tired 3 year old at the moment. This is her second week of pre-school and as much as she loves going, she is also tired and grumpy after each session. 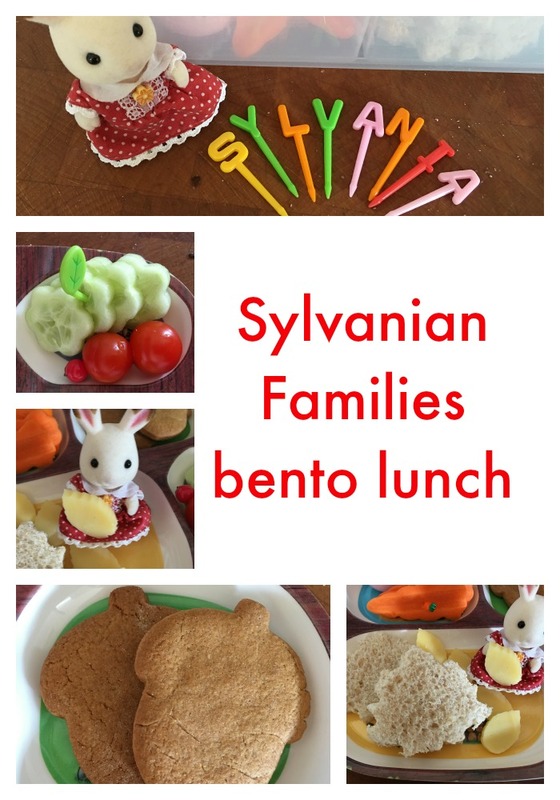 To cheer her up at the end of the week I thought I would make her a bento lunch inspired by her favourite Sylvanian friends. 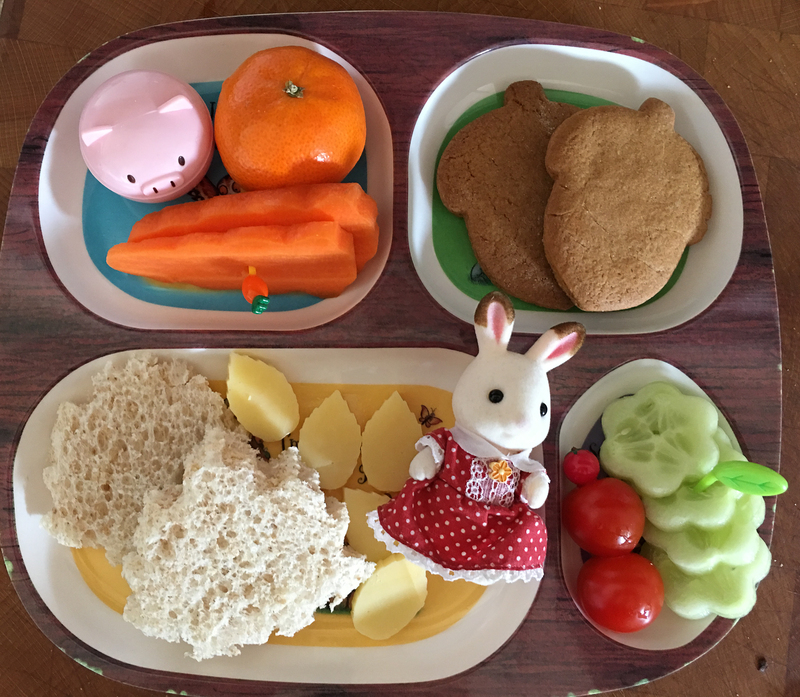 She has to have an early lunch for her afternoon sessions so bento is perfect for filling her up and making lunch time fun. 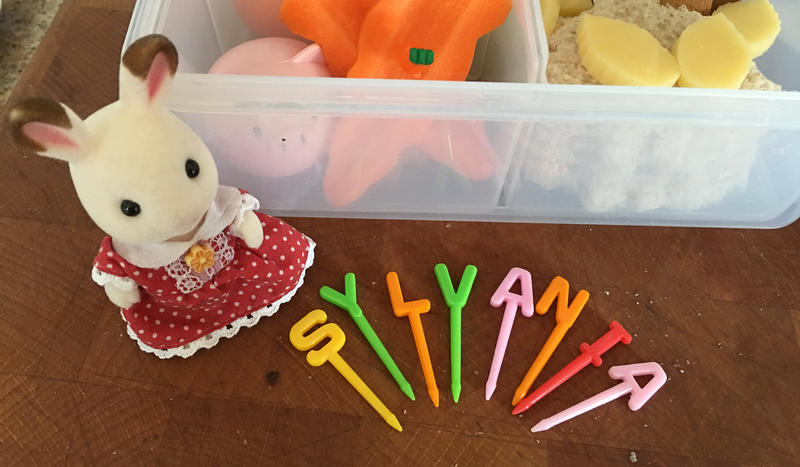 My daughter’s favourite Sylvanian, Freya Chocolate Bunny, helped me decide what to include. 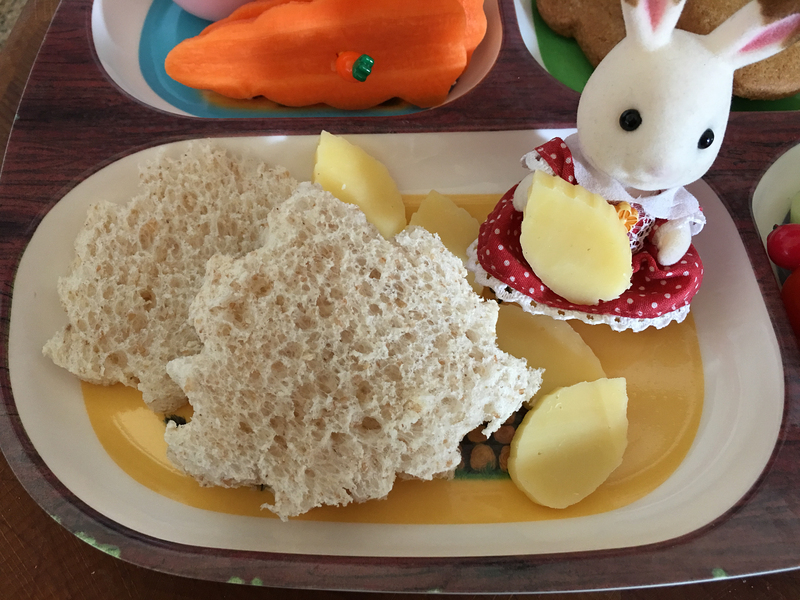 There were leaf-shaped sandwiches with leaf-shaped pieces of cheese. A little pot of humous with some carrot shaped pieces of carrot and a tiny orange. I added some cherry tomatoes and cut cucumber slices into flower shapes, held in place with some of my favourite bento pics. 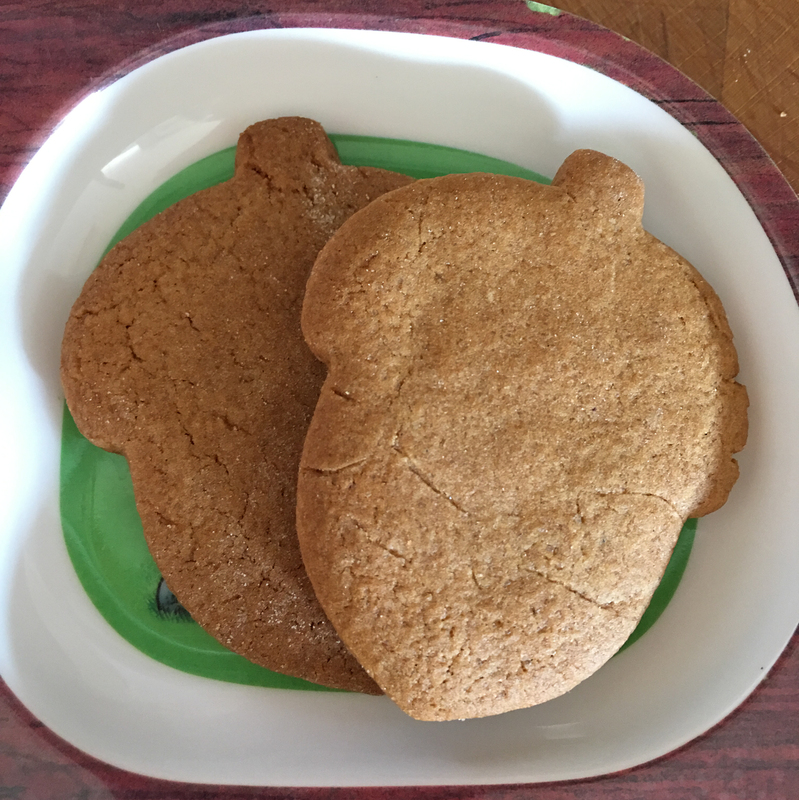 For a sweet treat I included some acorn-shaped gingerbread biscuits, made using my favourite gingerbread recipe. What a cute little lunch this is! 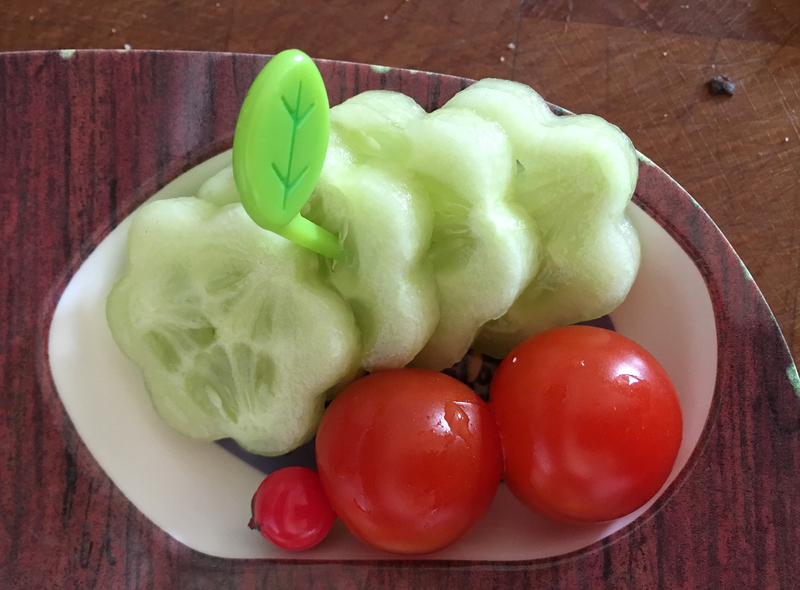 I love the cucumber – so cute! 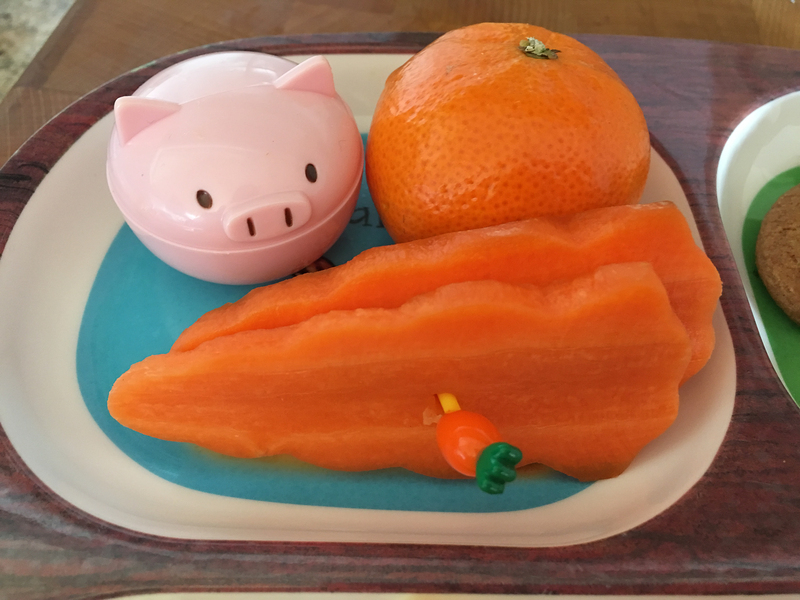 I love this lunch, it’s so cute. I used to (and still love Sylvanian), I hope Mabel likes them too. I can’t wait to make lunches like this for her when she’s old enough! That is such a lovely, super cute idea, I used to have to make Star Wars toast for my little boy, cut into the shape of R2D2. What a lovely lunch and cute theme. I know what you mean about tired children who can barely hold it together for lunch/dinner? My boy is just 4 and has started school and he’s so tired after each day. We try and make dinner fun but this is such a good idea – I may adapt some of this for him!